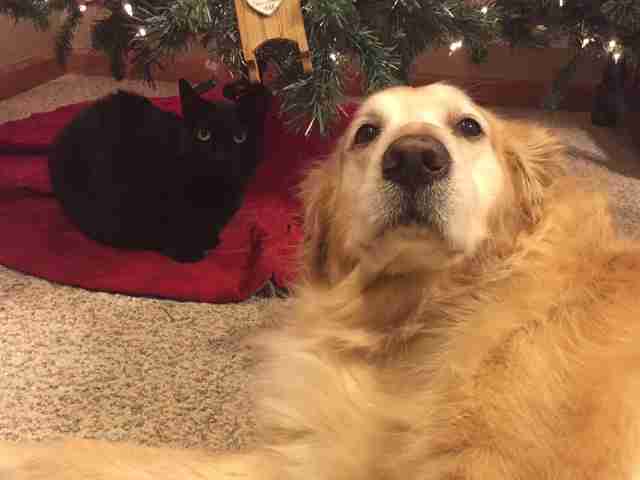 It's now been months since Zeus the cat said a final farewell to his friend, a dog named Sam who passed away. 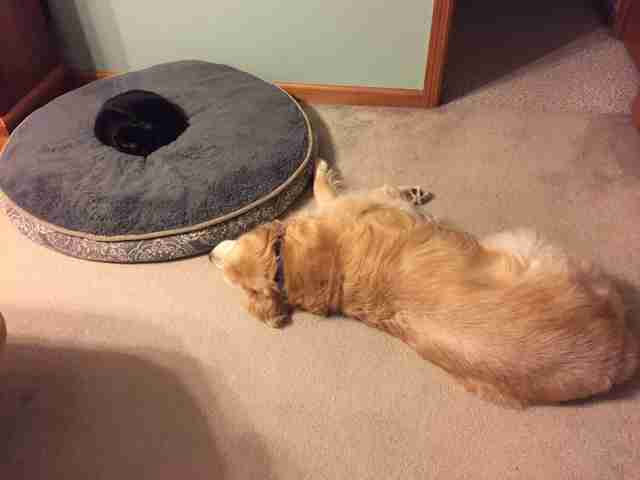 But the saddened cat's love for his old canine companion still burns strong in his heart. And recently, that couldn't have been made more clear. 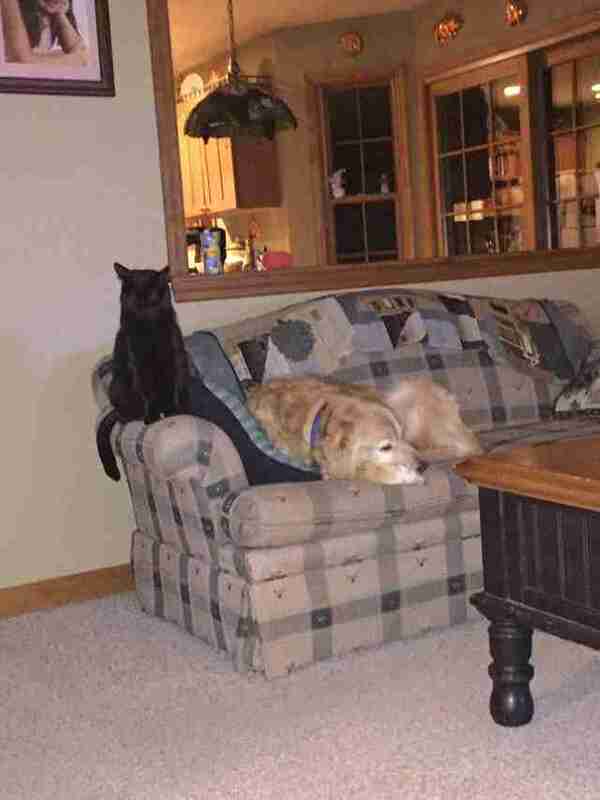 On the surface, Zeus and Sam's relationship may not have seemed too atypical for a cat and dog living under the same roof. But despite the contrasts in their species and temperaments, a bond formed between them — though they did express it in different ways. "Zeus always tried to cuddle with Sam and play with him, but Sam was always uninterested," Emma Catanzarite, the pair's owner, told The Dodo. "Zeus loved to tease him all the time." Mostly, though, he just wanted to be close. But while cats are usually the ones who have a funny way of showing affection, in this case it was Sam the dog who expressed his love through tolerance. 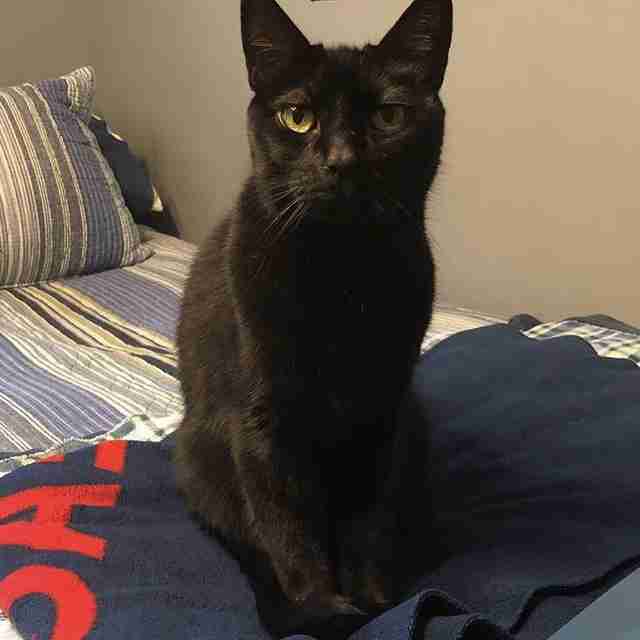 Sadly, though, their time together couldn't last forever; two months ago, Sam died — and it cast a long shadow on the cat's heart. "Zeus seemed really lonely after Sam passed away," Catanzarite said. 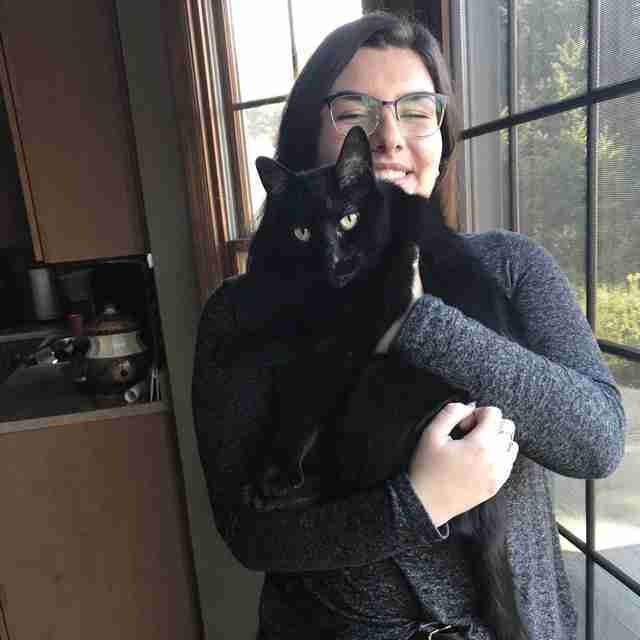 "He followed my mom around a lot more during the day and he meowed a lot after he died like he was looking for him. The day Sam died, we had him wrapped in a blanket and my mom came in the room to find Zeus sleeping on top of him, like he finally got the chance to cuddle with him." Sam may be gone, but this week Zeus found a way to reconnect with him. 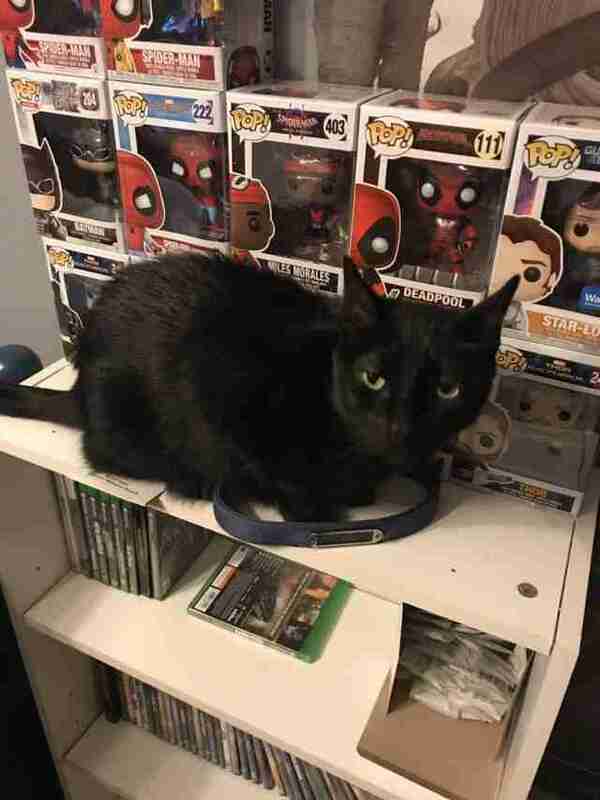 Since the dog's passing, Catanzarite's brother had kept his old collar on a bookshelf in his room. The other day, Zeus found it — and his heart seemed to swell. "I saw Zeus sniffing by the bookshelf and then he jumped up and sat right by the collar," Catanzarite said. "It made me so sad seeing how happy he was to find it and finally smell Sam again." It's impossible to say for certain if simply smelling Sam again was enough to mend his heart, but it certainly appeared that way. "He seemed so happy when he discovered it," Catanzarite said. "I think it might have helped him." Nothing will ever bring Sam back in body, but his presence still lingers in spirit and scent — and now Zeus knows exactly where to go to find it.